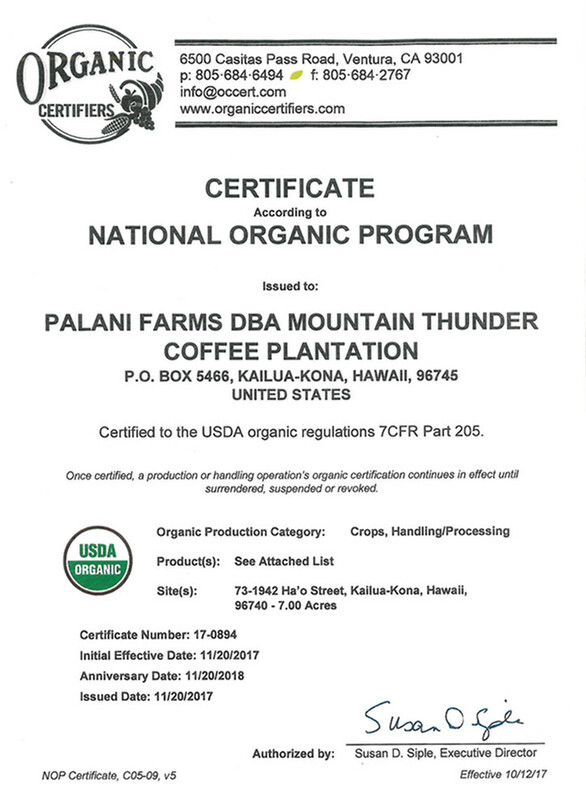 100% Premium Kona Coffee is the most economically priced coffee available at Mountain Thunder. However, the high-quality standards you have come to expect are still in place. Only the ripe, red fruit are picked from the trees, leaving the unripe, green, fruit on the coffee trees until a later picking. The beans are then air-dried and then carefully cleaned, graded and run through our Satake optical color sorter. This takes away black, white, yellow and brown beans which impart an off-taste. Coffee is traditionally dried after the cherry (the outer red skin) is separated from the bean. 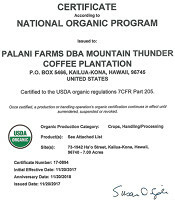 Our Kona Naturals coffee is dried as cherry (the coffee beans inside). 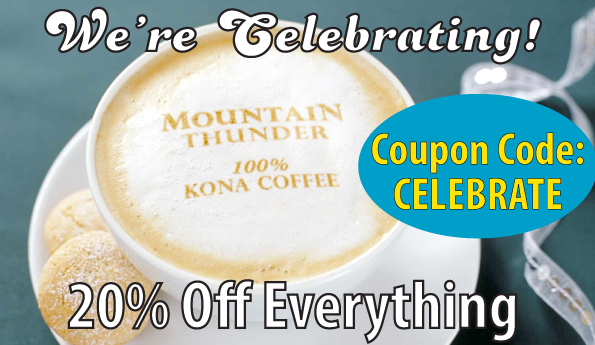 Discover this smooth, sweeter tasting 100% Kona Coffee that has notes of blueberry and pomegranate.